Tickets on sale April 27th! 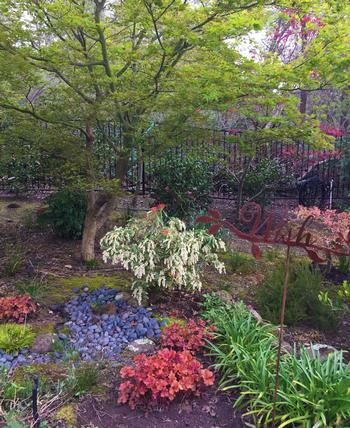 Tour seven unique gardens in Loomis, Rocklin and Granite Bay from 10 a.m. to 4 p.m. Tickets available April 27th at Eisely Nursery in Auburn and Green Acres Nursery and Supply in Rocklin and Roseville. For ticket details and garden descriptions, click on Garden Tour Flyer 2019. Order soon, only a few left! 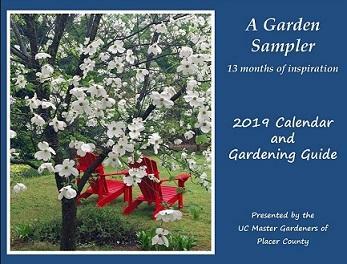 The 2019 Calendar and Gardening Guide presents A Garden Sampler: 13 months of inspiration. For more information and purchasing information Click Here. Click here for a list of resources and plant recommendations. Use our online Ask A Gardening Question form or call our Hotline. To learn more, Click here. Free! Visit our both on the Rocklin Campus Campus Quad. Specifically designed for foothill gardeners, the Placer County Planting Guide shows what and when to plant in your vegetable garden throughout the year. Thinking about putting in a vineyard or need help maintaining the one you have? This 10-page Home Vineyard Resources Guide is designed to help home gardeners find answers to their wine grape growing questions.